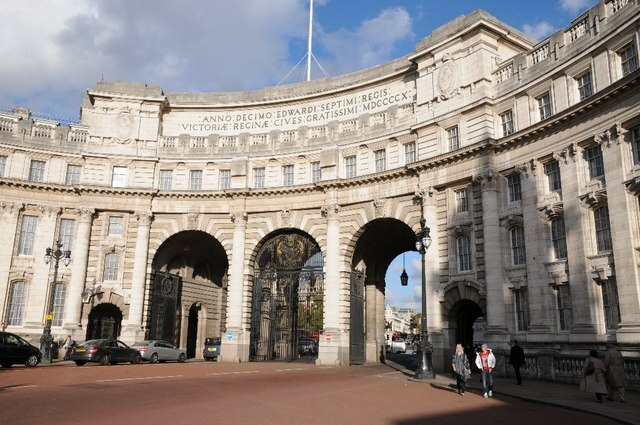 Admiralty Arch was designed by Sir Aston Webb and constructed by John Mowlem & Co; it was completed in 1912. The building was commissioned by King Edward VII in memory of his mother Queen Victoria. The arch provides access to the Mall from Trafalgar Square.